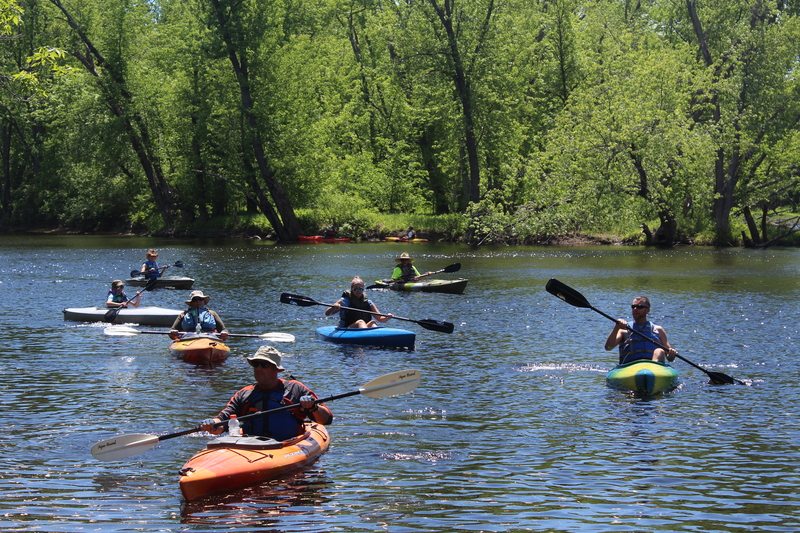 On June 2, over 200 paddlers took to the Kennebec with their kayaks and canoes to raise money at our 22nd Annual Paddle for Pine Tree Camp. FOX 22 ABC 7 Bangor interviewed camper Tristan Bouchard and Pine Tree Society’s Chief Development Officer Erin Rice. Support Pine Tree Camp today! 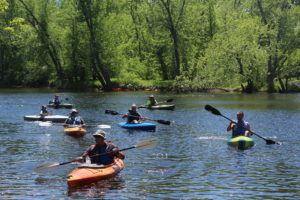 Recently, camp director Dawn Willard-Robinson and Tyler Cary from Pine Tree Society sat down with Craig Colson on FOX 22 ABC 7 Bangor to talk about the Paddle for Pine Tree Camp on June 2. “Pine Tree Camp in Rome is really a magical place where children and adults with disabilities can get a great summer camp experience just like anyone else. But of course it takes money to run the camp and that’s why people will soon take to the water. They’re getting ready for the annual Paddle for Pine Tree Camp,” said Colson. Get more information and register for the Paddle here. 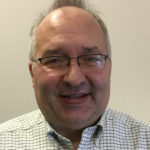 Pine Tree Society, a statewide organization serving Maine children and adults with disabilities, recently named Joseph Drago to its board of directors. A native Vermonter, Drago graduated from The College of the Holy Cross with a BA in Political Science. and completed an MA in Political Science at Wichita State University. He served six years as an Air Force officer and flight crew member. Following active duty, he completed the Professional Accounting Program at Northwestern University’s Kellogg Graduate School of Management and became a CPA. He spent eight years with Ernst and Young in Chicago and twenty years as a C-level corporate officer in a variety of growing firms and non-profits. He completed his career in the Air Force reserve as an Air Force Academy Admissions Officer. His volunteer service includes positions on Boards of Directors of community service organizations, and as a volunteer to his local parish and alma mater. In 2017 he received a certificate in Philanthropy and Non-Profit Organizations from Northwestern University. He is a member of The Union League Club, Council on Global Affairs (Chicago), the CFO roundtable and the AICPA. 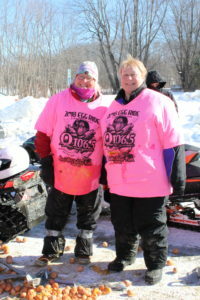 Local television stations were on hand for the 2018 Dysart’s Snowmobile Ride-in and Q106.5 Egg Ride to benefit Pine Tree Camp took place on February 3. The morning was sunny and cold, but the temperatures did not dampen the spirits of friends who came to support Pine Tree Camp. It all began with a benefit breakfast at the Hungry Hollows 76ers Snowmobile Club in Levant. After a hearty breakfast, the Q106.5 “Egg Riders” suited up for their ride to Newport. In an annual tradition that dates back more than 30 years, the riders stuffed raw eggs down their snowmobile suits before hitting the trail. Each egg represents a pledge of $50 to help send people to camp. Eggs Riders this year included camp parent, Amy Judson along with Pine Tree Camp director, Dawn Willard-Robinson and Q106.5 personalities Scott Miller, Cindy Campbell, Paul Wolfe and Erik Owens. They left Levant with a collective total of 1,620 eggs stuffed in their snowsuits. The Egg Riders arrived in Newport just in time for the benefit luncheon sponsored by Hannaford Supermarkets. Community members enjoyed a delicious meal featuring pulled pork sandwiches and haddock chowder. The Dysart’s Snowmobile Ride-in and Q106.5 Egg Ride would not be possible without the generous sponsors, donors and volunteers. All funds raised go directly to fund tuition to Pine Tree Camp, so that no camper is turned away due to inability to pay tuition. Pine Tree Society is pleased to announce that James Belanger has joined the team as the new Finance Director. Belanger has worked with nonprofit organizations, including Head Start, in leadership positions for most of his career. He grew up in Maine and relishes the opportunity to return to his home state. Belanger is a CPA licensed by the State of Maine. Pine Tree Society announced that Employment Specialists Michelle Girard-Lynds and Sherri Go have been awarded national certification by the Association of Certified Rehabilitation Educators (ACRE), a national membership organization for trainers and educators who work in the field of employment for people with disabilities. Girard-Lynds and Go work with job seekers in the Career Development Department of Pine Tree Society. Girard-Lynds works out of the Scarborough office and Go is based in Auburn. Employment Specialists from Pine Tree Society support people from Androscoggin, York, Cumberland or Sagadahoc county in seeking meaningful employment. For more information about Career Development Services for adults, click here. For more information about Career Development Services for teens, click here. Pine Tree Society recently named Zachary Brandwein and Stephen Butterfield to its Board of Directors. Brandwein, an associate at Bernstein Shur, received his BA at Occidental College, his MPP at the University of Southern Maine, and his JD at University of Tulsa College of Law. Butterfield, Emeritus Professor at the University of Maine, received his B.S. from Springfield College, a M.Ed. from Keene State College and his Ph.D. from The Ohio State University. Pine Tree Society helps people in Maine with disabilities lead richer, more socially connected lives. Our Board of Directors sets the vision that serves as a guide for every aspect of Pine Tree Society. While members have diverse expertise and backgrounds, they do have one thing in common: a passion for Pine Tree Society. Our board members are champions, advocates and they are invested in the impact that Pine Tree Society makes in the lives of Maine people with disabilities and their families each and every day. The Roger R. and Theresa S. Thompson Endowment Fund announces the awarding of $112,000 in grants to six non-profit organizations in New Hampshire and Maine. Among the beneficiaries, the Trustees of the Trust, Charles Doleac, Kenneth Barrett and Holly Ayes Malloy have approved a grant to the Pine Tree Society of Scarborough ME to help launch a pilot program designed to support the employment of individuals who are Deaf. The Thompson Fund has awarded grants to the Pine Tree Society since 2000, to support the creation and sustainability of such initiatives as the Pine Tree Camp accessible playground, mental health care capabilities and an autism transition program. The distributions are not guaranteed and the non-profits named in the Trust must apply each year to be considered for the beneficiary awards that are paid from the income of the Roger R. and Theresa S. Thompson estate trust fund. To learn more about Thompson Fund beneficiaries and prior grant-funded initiatives, please visit ThompsonFund.org and follow the Thompson Fund on Facebook. Families feasted on pancakes and the children had the opportunity to have their picture taken with Santa and decorate cookies. All proceeds will be used to send people to Pine Tree Camp. Dysart’s will have another Breakfast with Santa on December 9th from 9:00-11:00 a.m. at their Broadway location in Bangor. To watch the segments from the December 2nd breakfast, click the links below.